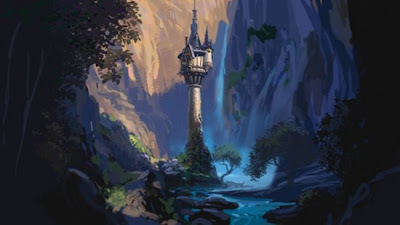 DisneyAnimation.com has just released five new concept art images from the new version of Rapunzel. 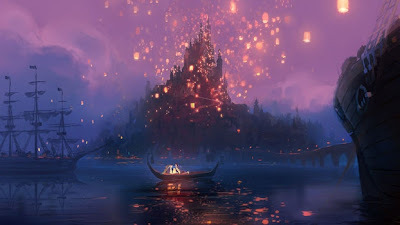 Previous director Glen Keane (now Executive Producer) developed a new look for this computer animated film, which is said to look and feel more like a traditional hand-drawn Disney Classic, but in 3D. 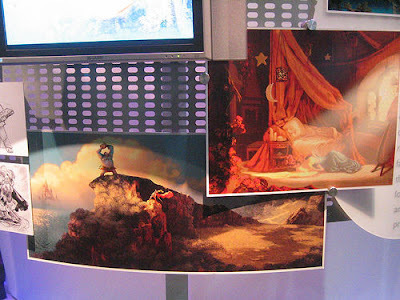 Apparently the film uses a non-photorealistic rendering technique which will make the surface look like it is painted but still containing depth and dimensions. 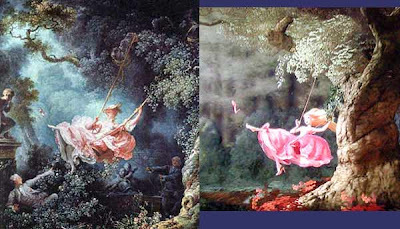 The movie's visual style is (still) being based on French Rococo artist Jean-Honore Fragonard’s painting “The Swing” (this is most apparent in the fifth and last image below). "Hopefully the new non-photorealistic rendering technique employed on this production will help capture some of the painting-like beauty of these pieces." The Supernatural Fairy Tales of Dorlana Vann - Interview! 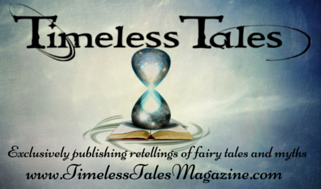 One of the regular blogs I visit (and link to in my sidebar) is "Supernatural Fairy Tales", hosted by author and writer Dorlana Vann. 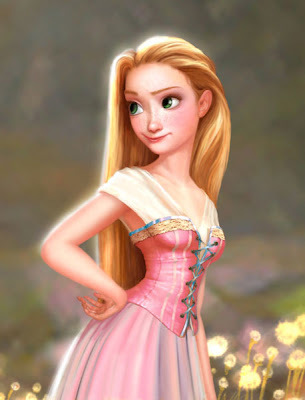 Fairy Tale News Hound: Thank you, Dorlana, for being available to answer some questions for Once Upon A Blog today. In previous interviews people have asked about you as a writer, your books and your interest in the supernatural. 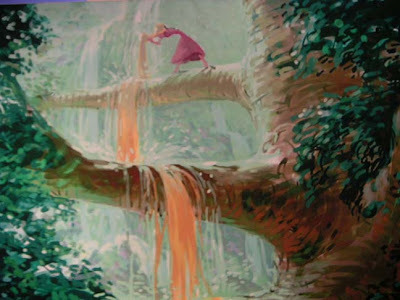 I thought I would focus on your interest in fairy tales and the resulting wonderful blog, "Supernatural Fairy Tales". 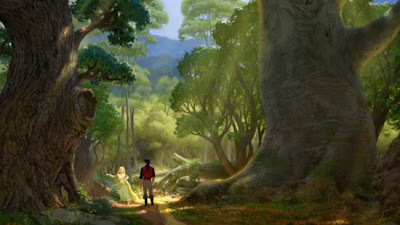 When do you first remember being influenced by fairy tales and how are you influenced now? 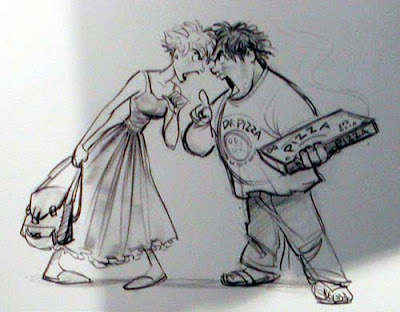 D: I wrote my first fairy tale inspired short story, Phone Calls and Dwarfs, about 15 years ago. The more I learn about them, the more I respect them, and today they are my main source of inspiration. 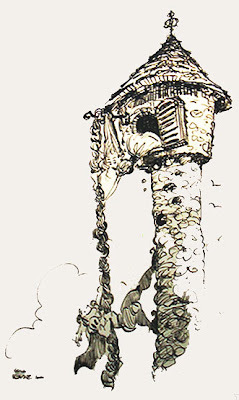 FTNH: What is/are your favorite fairy tale/s (or types of tales) and fairy tale characters? Why? 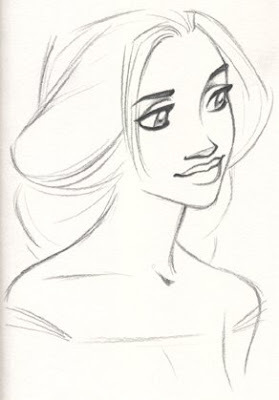 D: I guess I’m still a little girl at heart, because my favorite is Cinderella—the one with the happily ever after. I avoided writing a Cinderella inspired short story for a long time because there are a ton of adaptations already out there. And, since it’s my favorite, I wanted to do it justice. I did finally write a short story, Midnight, where I had fun creating a modern Cinderella who was a bit feisty; I threw her into a paranormal situation with an old-fashioned Prince, who turned out to be not so charming. FTNH: You've written a lovely collection of fairy tale inspired short stories which are available to read at "Supernatural Fairy Tales". Personally, I love "Blueberry Eyes", "The Tower" and the latest piece you've posted, "Forbidden Beach". 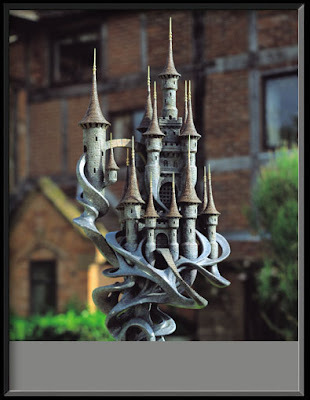 Do you remember the genesis of any of your fairy tale inspired short stories? Also, a lot of personal experiences influence my thought process in the unfolding of a story. Right before I wrote Silverweed Muffins my mom was reminiscing about how my grandfather was so superstitious. I used some of these memories in my story—like when he saw the devil in the woods, and the fact that he thought he killed his mom when he was 5-years-old by shooing the black birds off of their front porch—and they also set the entire mood of the story. 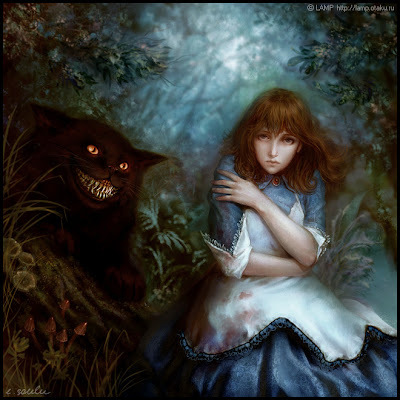 And in one of my more recent stories, If You Feed a Wolf, I pulled out my dream journal and took actual segments of my dreams, from years ago, and used them in the story—because the feel of Alice’s Adventures in Wonderland (the inspiration story) reminded me of my dreams and made me believe that Lewis Carroll was a lucid dreamer, too. FTNH: When did you decide that combining a fairy tale and a supernatural element (or two) made a good short story? Do you remember how you arrived at that combination? D: It took me a while to find my genre, but when I did, (around 5 years ago) combining my two interests just kind of made sense. Now it is almost like a fun addiction. 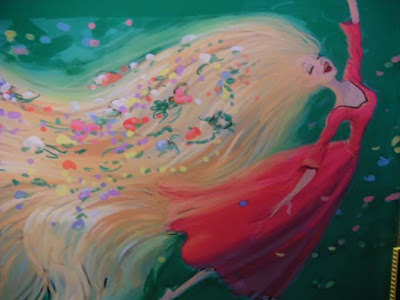 I crave that spark of inspiration from the fairy tale to get my imagination flowing. And because I choose the fairy tale and the supernatural element first, it also provides a disciplined writing challenge. FTNH: I see you're having more and more guests involved in your website. Are you expanding what you're doing with the short stories and fairy tale articles? D: I’ve had my blog for about two years, and I feel like I have just barely scraped the surface of the fairy tale world. 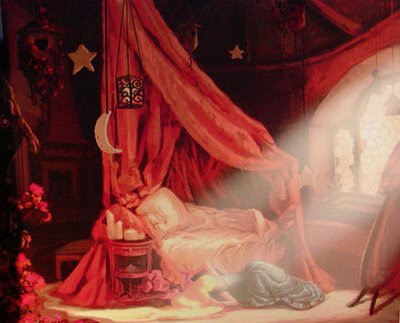 Every day I learn something new and find new artists and writers who are extremely passionate about fairy tales. The blog, like me, has changed and grown from this exploration of fairy tales through other people’s eyes, voices and imaginations. FTNH: Do you have any plans to collect your fairy tale inspired short stories into an anthology or perhaps write a novel length story based on a fairy tale? D: I do plan on having an anthology one day, but right now the short stories that were inspired by fairy tales are now inspiring longer pieces. It sounds crazy, but I use the fairy tale to inspire the short story which in turn inspires the novel. 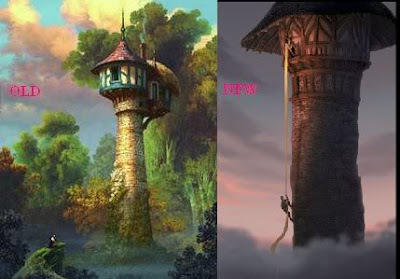 I’m using my short stories, The Tower (inspired by Rapunzel) and Silverweed Muffins (inspired by Little Red Riding Hood) for my YA novels in progress. My plan is to have both novels finished by the end of the year. I’m really having a blast writing them. Thank you again for making yourself available today, Dorlana! We wish you every success with your YA novels and can't wait to see what you have lined up for "Supernatural fairy Tales" in the coming months. 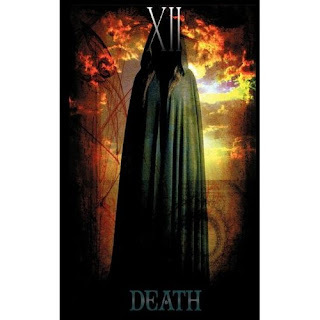 Dorlana's newly released book "Death" combines her two paranormal romance novels in one volume (available HERE). She is also one of the contributing authors to the anthology "Split" (available HERE). 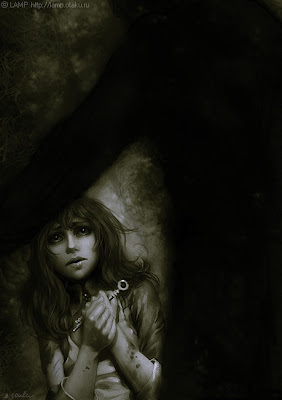 You can learn more about Dorlana's "Death" HERE and read some of her excellent fairy tale inspired short stories HERE. 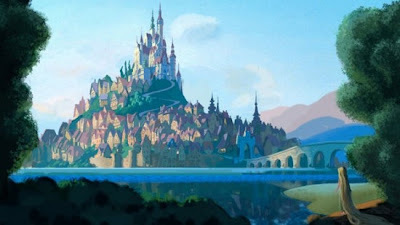 Two recent stories are "Forbidden Beach", based, not on The Little Mermaid as you might think, but on Thumbelina, and "Cyberstock", based on Jack and the Beanstalk. 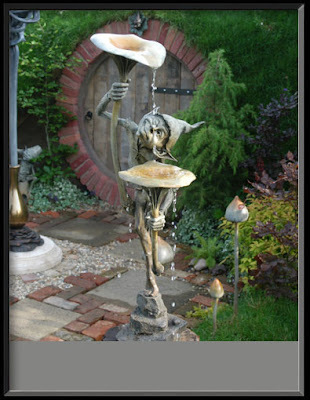 "Supernatural Fairy Tales" also has fairy tale articles, book reviews and profiles fairy tale-inspired artists of all kinds. If you haven't already, I encourage you to subscribe to Dorlana's site. You'll be very glad you did. 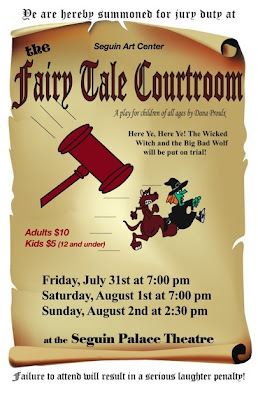 The Wicked Witch and the Big Bad Wolf - both regular villains in many fairy tales - are being hauled to court at the Palace Theater on July 31st, August 1st and August 2nd 2009 in Seguin, Guadalupe County in Texas, and being forced to answer for their crimes. 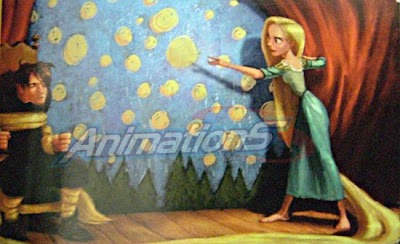 The victims of fairy tale violence are finally getting their day in court. Both defendants have a pretty long list of accusations — ranging from ridiculous to serious — that they are up against in the courtroom, Mitchell said. You can find the rest of the article, in which the Director Karen Mitchell explains how the trial will run and some of the character actors are interviewed, HERE. While this is essentially a children's and family friendly play there's a lot of adult humor and play on words that adults will appreciate. Ticket prices and more information are available at the Seguin Art Center HERE. 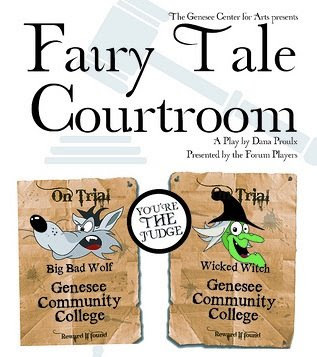 This show/trial has become increasingly popular over the past few years (note the fun poster below from last year's production at Genesee Community College) with more and more local theater companies taking on the challenge. If you get a chance, go along and cast your vote! This engaging and popular resource teaches children to analyze values and character in the lives of others as well as in their own lives through the framework of the judicial process. Simulations develop teamwork and the creative process while encouraging critical thinking. 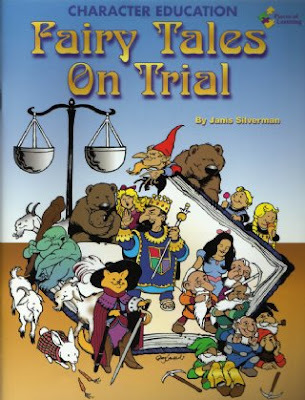 Students read fairy tales, assess the behaviors of the characters, and determine whether or not a character should be charged and tried for a crime. Students prepare for the trial, develop arguments, opening and closing statements, questions for witnesses, and present the case to another class who serves as the jury. Specific tales are suggested for each grade level from 3rd. through 9th. 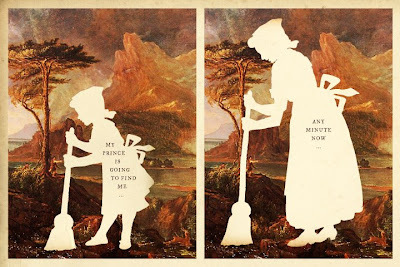 Silhouette Masterpiece Theater is a delightfully fresh and funny collection of old fashioned, hand-cut silhouettes. 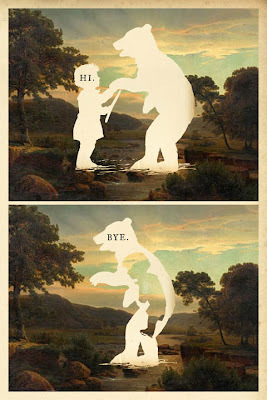 The wonderfully eccentric artist, Wilhelm Staehle (you'll know what I mean if you read his tweets), places his paper-cuts over traditional, painted landscapes - giving the viewer a different perspective - then tops off his scene by adding a little phrase, just to give your thinking a bit of a jolt. 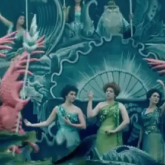 Here are some fairy tale themed ones. I just love these! Wilhelm is a horribly disfigured gentleman who often frightens small children when passing. 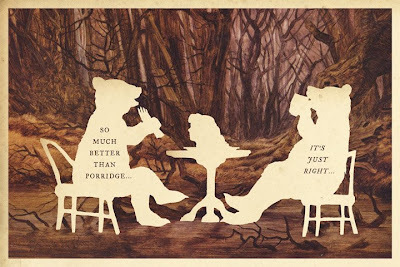 In his free time he hand-cuts silhouettes. You can see his gallery HERE and follow him on TWITTER. He'll also be at Comic Con this year, which I hope means we'll be seeing a lot more from this creative artist very soon. Good luck at Comic Con Wilhelm! 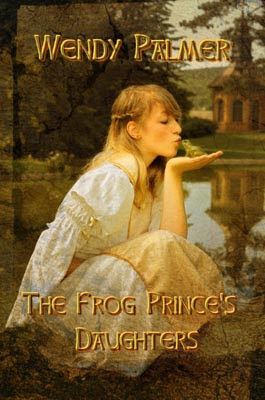 Australian author Wendy Palmer has just written and published (through a small e-books publisher*) a fairy tale novel, based on, you guessed it, "The Frog Prince". It's currently available in multiple eBook formats for $1 until August 14th through distributor 'eBooks Just Published' (when the price goes to $3.99). 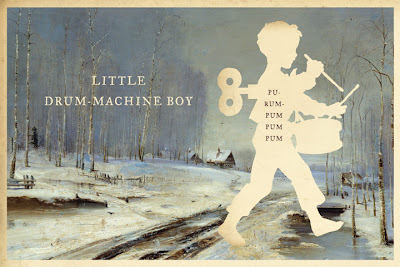 The lovely cover is by artist Andreas Reh (cover design by Karen Leabo*. Unfortunately, I'm unable to find a website for her. Author Wendy Palmer has fun playing with the structure and internal rules of the fairy tale, while introducing clever plot twists, developing a growing romance between Rana and the wizard, and delivering a solid adventure. 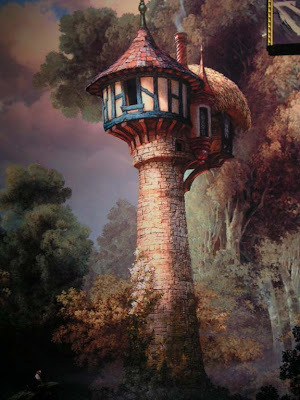 The fairy tale is a well-established source of inspiration for fantasy authors, and Wendy Palmer definitely rivals the very best of them. Highly entertaining. We need more authors making their fairy tales so available to us! CORRECTIONS ADDED 7-31-09: This book is NOT self-published as I originally understood. She published with a small e-books publisher 'Books for a Buck' instead. Thank you to Ms. Palmer for clarifying these points in her comment! 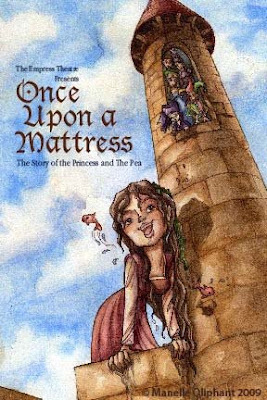 The Empress Theater in Magna, Utah is just about to start performances of the much loved musical comedy "Once Upon A Mattress" (an hilarious retelling of "The Princess and the Pea"). They're even offering a 'Queen's Feast' (chicken dinner) before the show on the Friday and Saturday. The lovely little poster, shown here, was illustrated by the very talented Manelle Oliphant - an artist who's blog, HERE, is worth revisiting often to see her latest creations. For those lucky enough to be able to see the show, hurry and get your tickets! The show starts July 31st. You can get more details by visiting the theater website HERE. 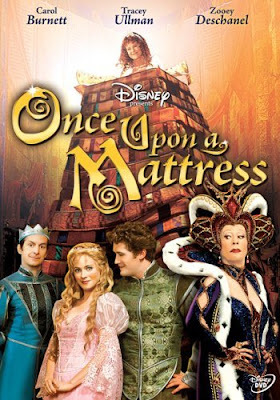 If you haven't seen the musical "Once Upon A Mattress" yet and can't get to this (or any other) show - because nothing beats a good live performance - the next best thing is watching Carol Burnett and Tracey Ullman in the 2005 production, available HERE. 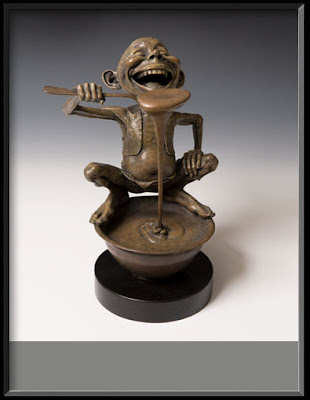 I recently discovered this amazing bronze sculpture artist, David Goode. 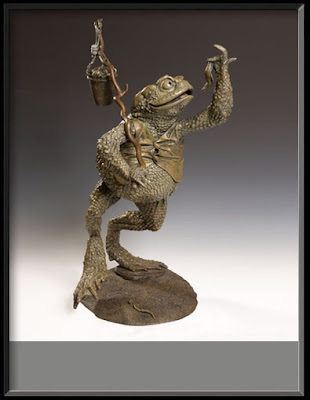 The inspiration for David’s work stretches back to a childhood fascination with myths and folklore, and a love of the writings of Tolkein. All the pieces are cast in bronze, using the ‘lost wax’ process, a method developed by the ancient Egyptians, whereby a new ceramic shell mould is both made and destroyed for each individual piece cast. This is one of the most costly methods of casting but its worth is that the nuance and detail of the original work is preserved in every successive casting. 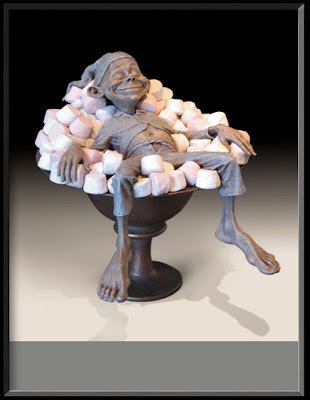 As you can see from the small selection posted here, there is a magical whimsical quality to his work in addition to an awesome technical expertise. I recommend visiting his website to see many more. 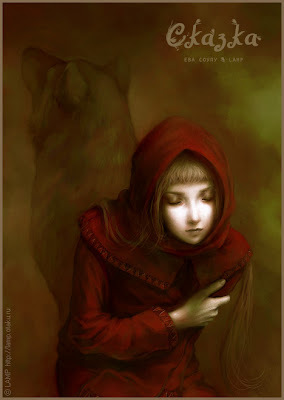 Russian artist Eva Soula is taking a different look at the characters of Red Riding Hood and their 'archetypical' roles. 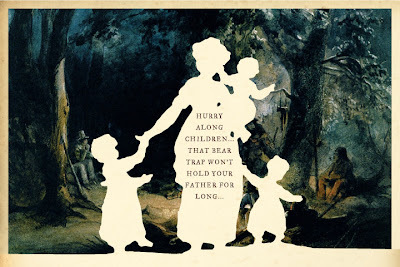 I’ve always liked folk and fairytales – not the tame sugary-sweet stories like the ones retold by Charles Perrault, but the original ones, which are often crueler, yet more truthful. 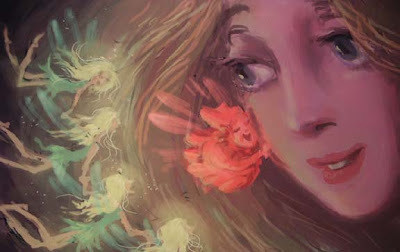 “Little Red Riding Hood” is one of those fairytales that I nearly despised as a child – it seemed so fake and senseless to me – but grew to love at an older age, when I read the original French version and realized what the secret was. :) However my story doesn’t follow any known retelling. 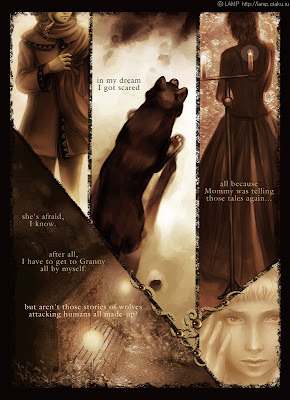 If you’re curious to see what else the archetypes of “Little Red Riding Hood” are capable of, this story is for you as well. 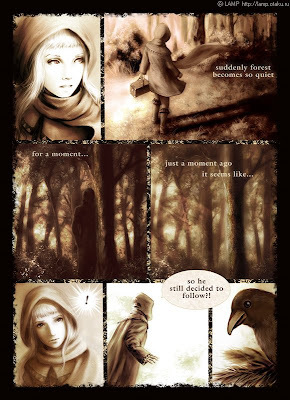 Here are three pages from her comic. More is available to see -of both the comic and her designs- HERE, though not, unfortunately the rest of this grorgeous comic (note: on her pages, the 'next' button is at the bottom of the image in faint grey). 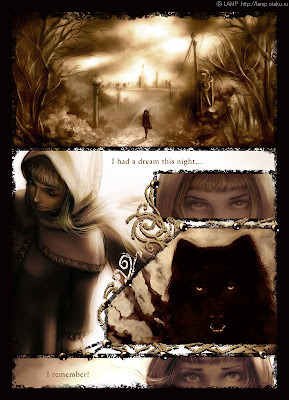 Her other personal comic project "Owls"- described as a series of stories set in the same world os a scientific mystery - appears to have magical elements too and is worth a look, even though it's only available to view in Russian at present. 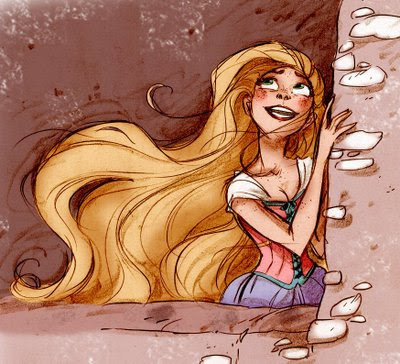 I meant to add this to the previous post but forgot, so instead you get TWO posts on Disney's "Rapunzel" today! This was released some time ago and, considering the changes made since then, is unlikely to be seen in the promos for the new movie. 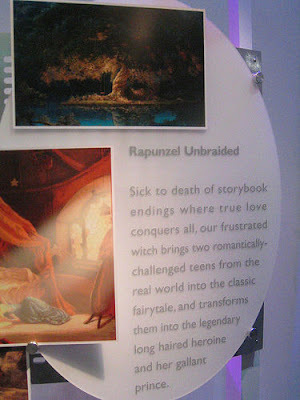 Disney's "Rapunzel" - Still "Unbraided"? 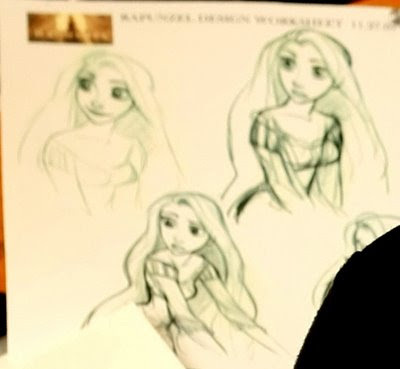 In case you don't already know, Disney has another fairy tale scheduled for a late 2010 release: "Rapunzel" (sometimes referred to as "Rapunzel: Unbraided") and a little blog just told me they very recently (like, last week) had their production kick-off party. 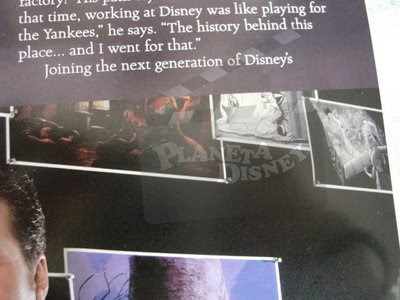 That means they're just starting the serious animation production phase 'now'! I feel for that crew. That's a very tight schedule to be working on, whether or not they've completed rigging and layout. 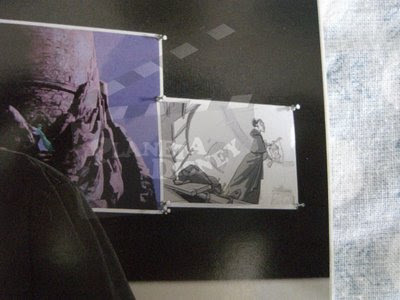 This particular feature film has a bit of a troubled history having been batted around in development for nearly ten years (at least since they announced it publicly) in story-hell, changing producers, directors and even approaches (you can see some of the old vs new artwork in this post). 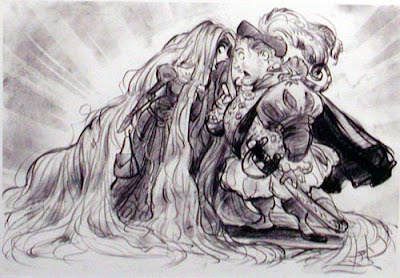 It was supposed to be the big 'all-CG-fairy-tale" film for Disney, proving they could do hand drawn and CG just as well. 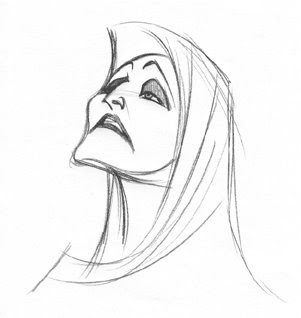 Now it's got even more pressure being the big number '50' full-length feature for Disney animation. By now, those of us who follow such things are feeling a little skeptical about it all, wondering if they can pull it together in time to meet the announced release. 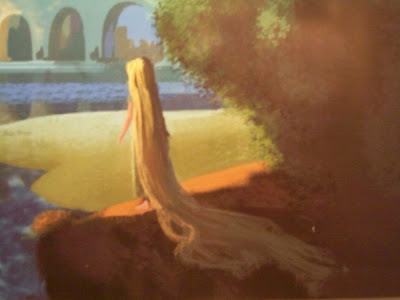 My guess is, if things are going well we'll see a sneak peek during the trailers shown before "Princess and the Frog". Still, just like everyone else, we can't help but be drawn to what they're doing. Apart from the whole "think of what we could do with all that hair! - and in CG!" angle being pitched to the execs, it started off with the interesting idea of basing the artwork on the famous painting 'The Swing" by French Rococo artist, Jean-Honoré Fragonard. 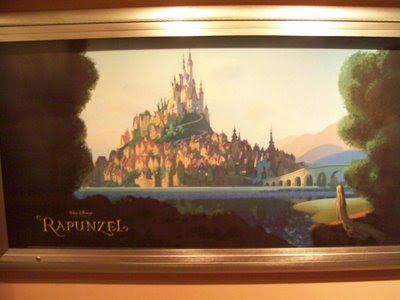 Then we heard it was all about a modern girl who got switched with the real Rapunzel (who got turned into a squirrel) and... yikes! But all reports are that it's on a much better track now - more classic and true to the original (all you fairy tale scholars out there must be thinking that's a ballsy thing to do but what they mean by this remains to be seen). 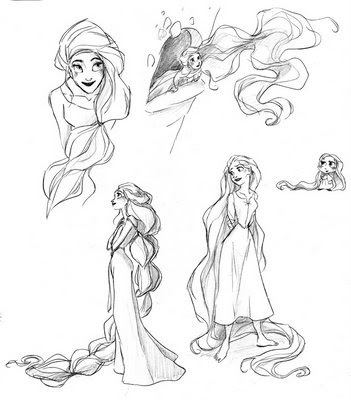 Doeri Welch-Greiner, the production manager for the movie, says that "The original version was that a girl got pulled from the modern world and replaced Rapunzel (Kristin Chenoweth), and Rapunzel got turned into a squirrel. 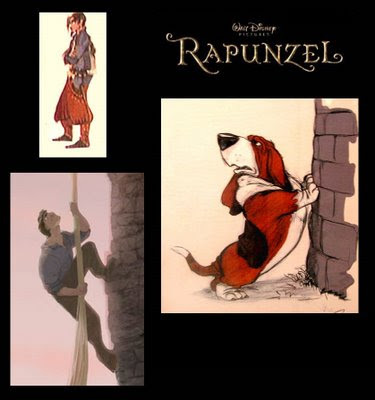 But we’re on a clearer, more classic fairy-tale sort of track right now with Dean Wellins as co-director; he was one of the story guys on Iron Giant and a Disney animator for a long time. It really plays on the mystery of the girl in the tower, and I think it’s really going to be great with Dean’s story sense and sense of staging, and the artistry that Glen brings to it, we hope we can bring the artistry of the movie to a different place." 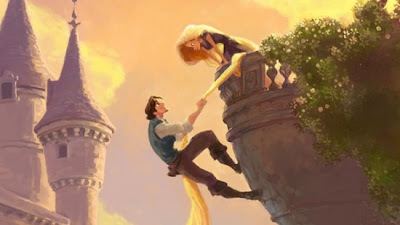 Keane also promises that he’s going back to Rapunzel’s literary origins to do a traditional, character-driven fairy tale that speaks to a modern audience. “It’s a story of the need for each person to become who they are supposed to be and for a parent to set them free so they can become that. It will be a musical and a comedy and have a lot of heart and sincerity. I think that’s what Disney needs to do right now. No one else can do it. We should not be embarrassed or make excuses for doing a fairy tale." 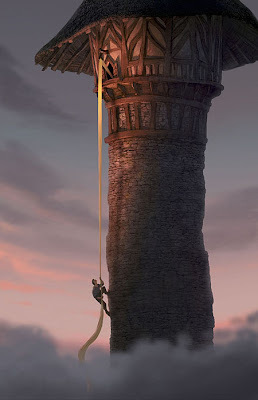 Of course, this was added to Wikipedia before Mr. Keane was removed from the project but John Lassiter (who is determined to return Feature Animation to its glory days of good films and great returns) assures us (via press releases) that Rapunzel is now a solid movie and one worth making (deletes comment about ridiculous numbers of dollars already spent and keeps blogging). Despite all this we'll be watching keenly and closely to see just what happens with this. We'll also be rooting for it to suceed (as a film, as well as at the box office), because, quite frankly, we want more fairy tales! 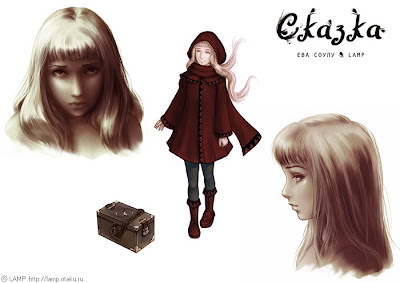 Here's the most recent artwork I've scrounged from around the web which shows a little development art and one scene but doesn't give away a whole lot. You can be sure if I find anything else, I'll post it! Fairy Tale Make-Up Competition w Prizes!